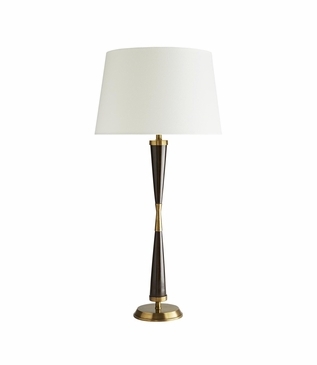 Slender in form, this table lamp boasts rich wood and warm brass tones to create stylish elegance. 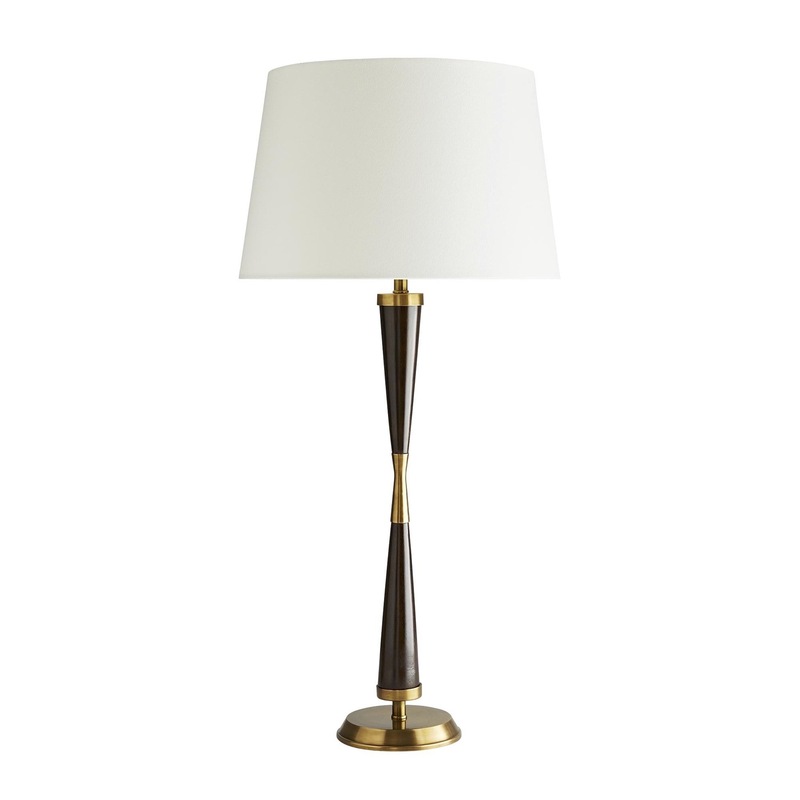 The hourglass-shaped base is finished in a dark walnut and accented with antique brass details. 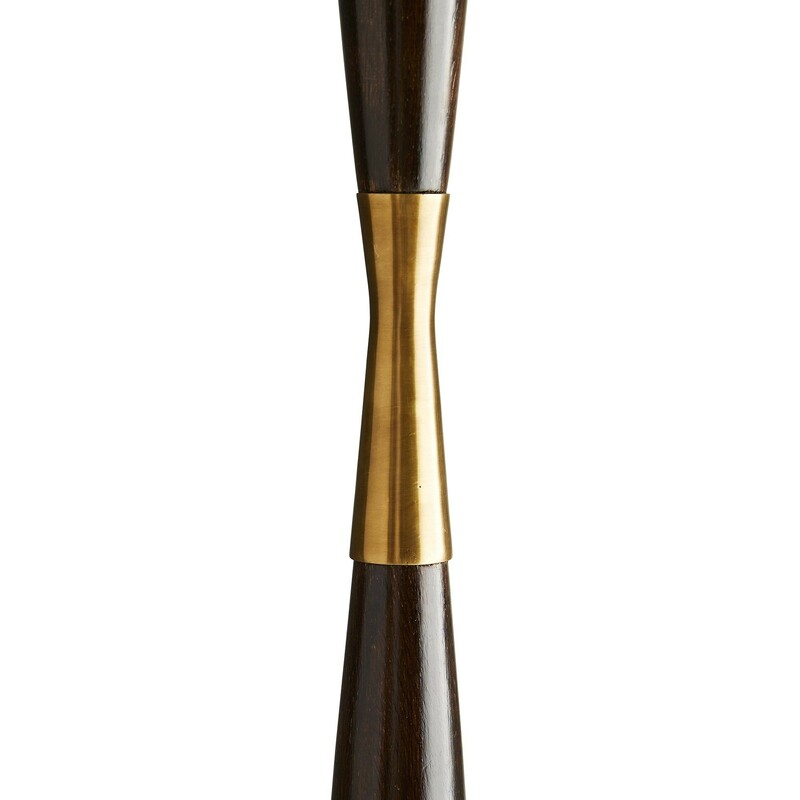 The result is a look that brings sophistication to any space. 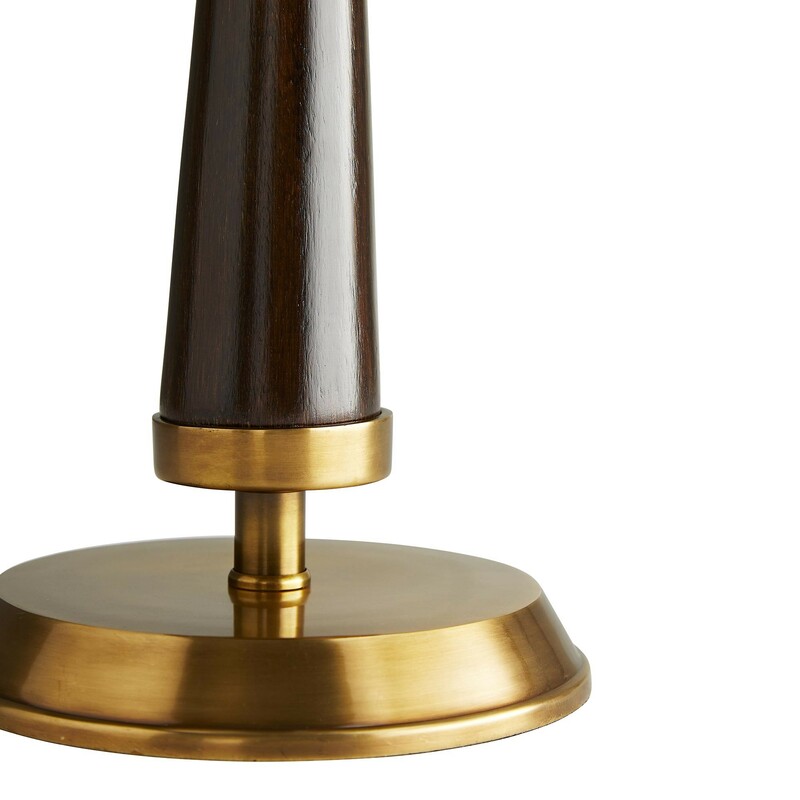 The narrow footprint makes it ideal for a desk or buffet. 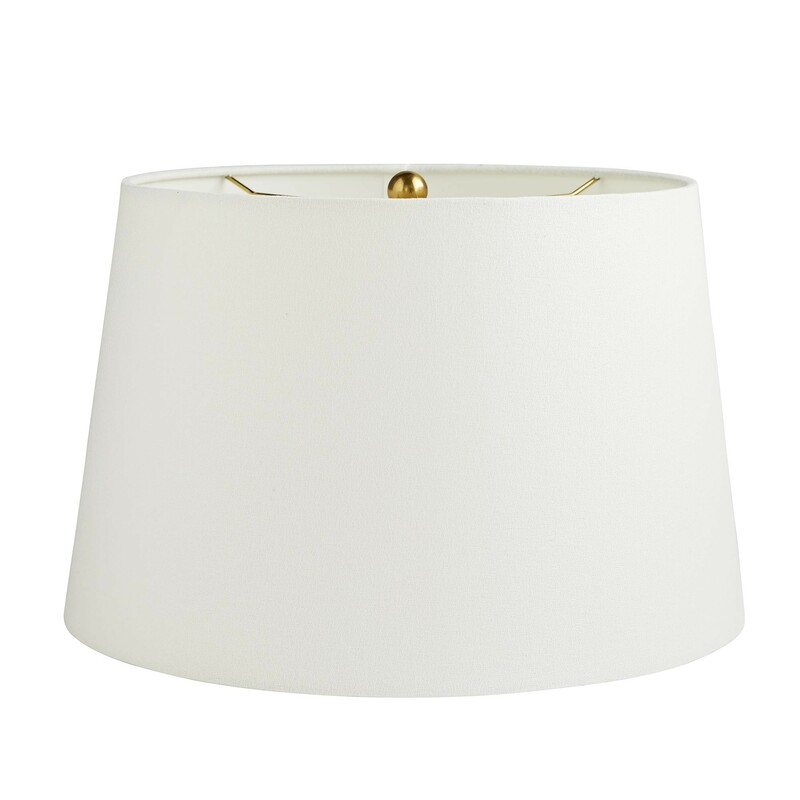 It is topped by an off-white linen shade. 1-150W maximum, Type A bulb (not included), 3-way rotary switch at socket. UL listed.